Sukanya Samriddhi Yojana Account is a new Initiative from Government of India, to help the parents of girl children, to meet the future educational and marriage expenses. Sukanya Samrudhi Yojana Account was launched by Prime Minister Narendra Modi on 22 January 2015 as a part of “Beti Bachavo, Beti Padhavo” Campaign. The greatest advantages of the scheme includes its higher returns and income tax benefits. To join this scheme parents of girl child should open a specialized account in any of the collaborating banks or post office. 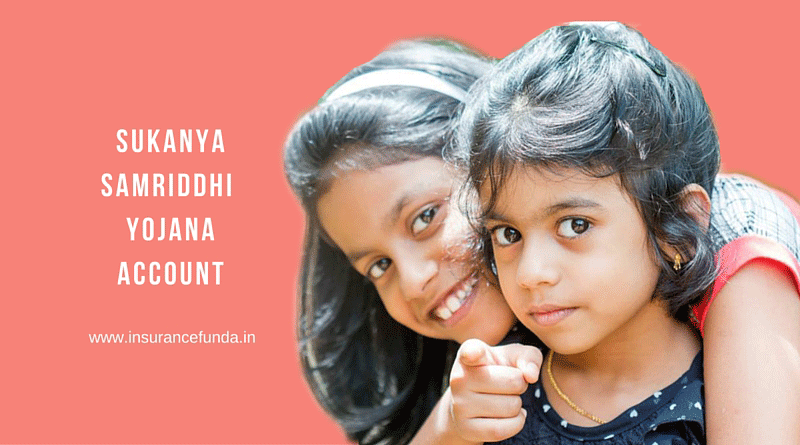 Sukanya Samriddhi Yojana Account – terms and conditions. Documents Required to Join Sukanya Samriddhi Yojana Account. Banks offering Sukanya Samriddhi Yojana Account. Only parents with girl children can open Sukanya Samriddhi Yojana Account. Only one account can be opened for a single girl child. One parent can open maximum of two accounts in the name of two girl children but a third account can be opened in the name of a girl child, in the event of birth of twin girls as second birth or if the first birth itself results into three girl children. Age at entry : 0 -10 years of age. Minimum investment amount: 1000 per year. Maximum investment amount: 1,50,000 per year. Investment can be done only for 14 years from the date of opening of the account. Maturity Period of the account will be 21 years from the date of opening of the account or marriage of the child which ever is earlier. Up to 50 % of the available amount can be withdrawn as partial withdrawal to meet educational expenses. Interest rate for the account is regulated by Ministry of Finance and is declared every year. Sukanya Samriddhi Yojana account can be opened through any of the banks listed here or through Post Office. Comparatively better interest rate offered in the scheme makes the scheme attractive. Income Tax rebate u/s 80 C is an added advantage. Option to withdraw amount to meet the educational expense of the child. Investment allowed only up to 14 years. Low liquidity as the scheme cannot be closed in between. Account allowed only for two girl children.